The temperature control unit market which registered a CAGR of 5% during the 2013-2017 period. The constant and sudden fluctuations in global temperatures in the last decade forced companies across industries to become heavily reliant on artificial devices for maintaining an optimal temperature vital to their production and manufacturing throughput and was one of the key factors driving the growth of the temperature control unit market. 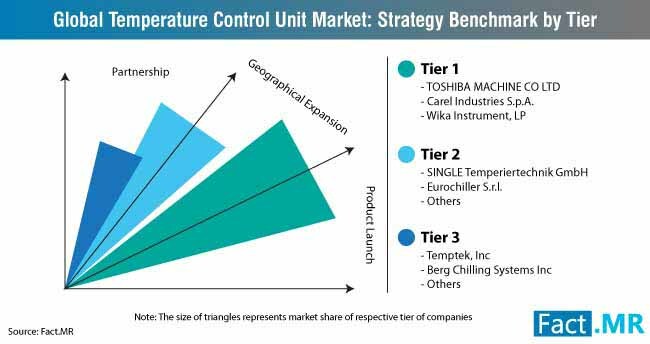 As a consequence of the intensifying competition across industries, the temperature control unit industry players were seen increasingly investing in enhancing the quality of their products. 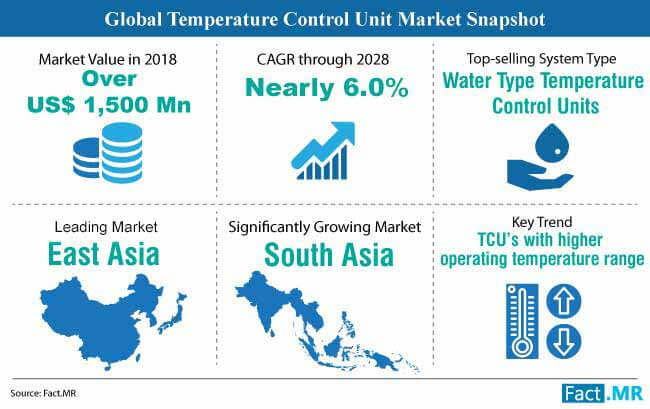 Revenues from the temperature control unit market surpassed US$ 1.5 billion in 2018, and are estimated to register a Y-o-Y growth of more than 5.0% in 2019. East Asia is expected to hold the bulk of the temperature control unit market share, with China estimated to remain at the forefront owing to the presence of an overwhelming manufacturing industry in the country. South Asia is expected to emerge as the high-growth market for the temperature control unit. The World Economic Forum has estimated the region to witness a robust growth in the foreseeable future, succored by the presence of a vast skilled workforce, healthy economic growth, and the strengthening purchasing power of consumers. What are the Key Dynamics Influencing Growth of the Temperature Control Unit Market? Stringent regulatory norms, and elevating emphasis on reducing the adverse impact of industrial processes on the environment have been creating a surge in the demand for temperature control units, in light of their better efficiency with lower energy consumption. Consequentially, key players in the temperature control unit industry are accelerating research efforts into the development of affordable and energy-efficient temperature control units, which effectively fulfill the requirements of various industries. Manufacturers in the temperature control unit are increasingly incorporating the Industrial Internet of Things (IIoT) technology to streamline their operations. Demand for temperature control units which can be controlled remotely is estimated to rise significantly while the use of sensors for effective maintenance of the systems is increasingly gaining traction in the market. Integration of temperature control units with injection blow molding (IBM), a widely used technique in plastic manufacturing, is increasingly becoming popular in the plastic industry with the combination aiding in substantially reducing the rejection rate of finished products improving the throughput of the process while imparting the desired aesthetics to plastic components. Additionally, the development of novel manufacturing techniques in the plastic industry is demanding added control over the temperature of the production environment fuelling the growth of temperature control unit market. Accelerating demand for temperature control units is expected to stem from the surge in the manufacturing of specialty medications with the process requiring optimum temperature for production. 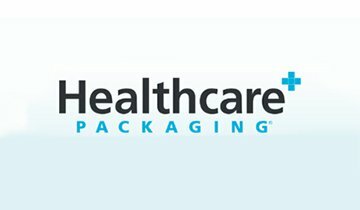 In addition, pharmaceutical companies are integrating temperature control technology throughout the supply chain to prevent any changes in the physiochemical properties of the finished products. An exponential increase in energy consumption coupled with deepening energy crisis is likely to bolster widespread adoption of temperature control units in power-generation. According to the International Energy Agency, the global demand for energy increased by 2.3% in 2018 which was the highest in the last decade. With temperature control vital to enhancing the operational efficiency of power plants, companies are likely to invest heavily in the temperature control unit market. For detailed information on variegated factors driving the temperature control unit market growth, request a sample. What are the Vital Challenges that Need to be Addressed by Stakeholders in the Temperature Control Unit Market? Installation of temperature control units in facilities is complex, time-consuming, and expensive. Consequentially, installation of newer units can hamper productivity and may require making significant changes to the existing infrastructure. The factor is expected to stifle temperature control unit market growth with manufacturers working towards developing techniques for seamless integration of these devices. Constantly evolving government regulations in addition to maintaining affordable prices of product offerings is putting manufacturers in the temperature control unit market under immense pressure. Additionally, introduction of alternatives using renewable sources of energy is likely to dampen temperature control unit market growth. 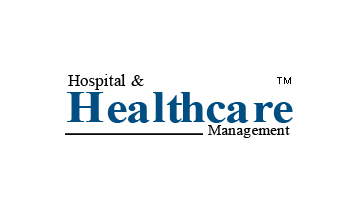 With the demand for remotely operable temperature control units on the rise, Thermal Care Inc. launched the Connex 4.0 software platform which will allow users to monitor and control the working of any equipment manufactured by Thermal Care from any device with internet access. Banking on the growing prominence of safety in workplace environments, BOFA International, a leading player in the temperature control unit market, introduced its FIREBOX technology which uses a temperature control system to sense a drastic rise in temperature and prevent the risks of a fire. 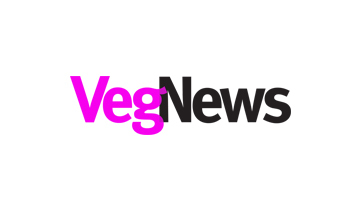 To capitalize on the burgeoning demand for temperature control units in the plastic industry, Advantage Engineering Inc. collaborated with Novatec to develop the first-of-its-kind dryer equipped with a temperature control unit which is likely to find usage in automobiles where manufacturers require systems to dry high-temperature materials. Leveraging the capabilities of Industry 4.0, Delta T launched a smart temperature control unit with maintenance alter capabilities and one-of-its-kind dew point control which will prevent condensation of liquid from damaging the system. Continuing the trends of innovations in the temperature unit control market, Engel launched the new iQ flow control software which integrates the working of temperature control units with injection molding machines by measuring values using its proprietary water temperature control system flomo. Other leading players operating in the temperature control unit market include WIKA Instrument, LP, Single Temperiertechnik GmbH, Mokon Systems, Berg Chilling Systems, HB-Therm GmbH, Toshiba Machine Co., Ltd., EUROCHILLER S.r.l, Carel Industries S.p.A, Temptek, Inc., and Carel Industries S.p.A. 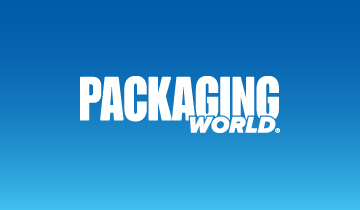 The increasing demand for plastic in packaging, pharmaceuticals, food and beverages, and other industries is prompting manufacturers to accelerate production, while maintaining the quality of the products. Integration of blow molding machines with temperature control units is aiding manufacturers in the production of high-quality components at a faster rate which is, in turn, fueling the demand for portable and compact temperature control units with pump capacity 20GPM or less. Intensifying competition in plastic, food and beverages pharmaceuticals, printing, chemical, energy, engineering, and other industries is prompting companies to substantially amplify production which is a vital reason temperature control units with pump capacity greater than 60 GPM are finding widespread adoption. The report on the temperature control unit market is a consequence of an elaborate and robust research methodology employed during the compilation of the report. 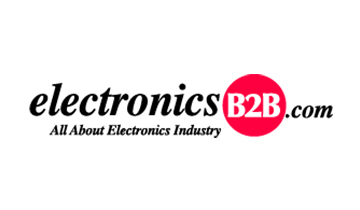 A comprehensive two-step research process involving primary and secondary researches was conducted to obtain detailed insights into the temperature control unit market. 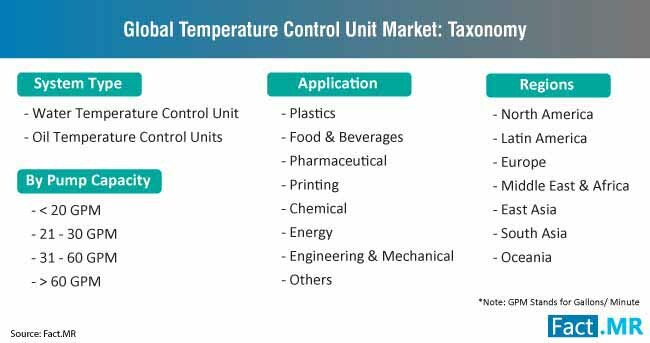 Primary research was conducted by interviewing experts from the temperature control unit market while secondary research involved thoroughly studying company press releases, trade journals, paid sources, and other publications related to the temperature control unit market. Results from both the steps were cross-referenced to filter out any erroneous information and create an accurate forecast of the temperature control unit market. 14.3. Toshiba Machine Co., Ltd.
14.7. Berg Chilling Systems Inc.